Flooded basement? Water damage? What to do. If you’re experiencing a flooded basement or intrusive water of any sort, you’re not alone. It can happen for any variety of reasons—whether it’s torrential downpours, broken gutters, leaky windows, foundational damage, burst pipes or countless other issues. Here are just a few pieces of information that can help you get back to normal. While you can address minor cases of water damage yourself, unwanted water often requires professional attention. Standing water is among the most obvious and extreme cases of a water damage emergency, which can pose an electrical shock hazard if you set foot in it. Steer clear of standing water and, in this case, call a water damage professional—namely, a qualified construction contractor. Why? Because they’ll not only absolve your water damage issues with the proper equipment and experience, but they’ll do it safely while locating the exact sources of the issue. That’s not all. They can also help identify any threats of mold or mildew—a potential health and respiratory hazard—and inform you how to best prevent leaks in the future. Remember: merely removing water is addressing the issue on a surface level. Nothing beats a professional when it comes to thoroughly restoring your home to normal. Don’t just make an insurance claim—make inquiries. When you talk to your insurance provider, ask them about a list of preferred vendors. This can help weed out subpar contractors and ensure you’re receiving a premium list of professionals. Also, ask for contractors who carry an in-house insurance claims division, which can hasten the process and ensure that you’re receiving the most reasonable rates. 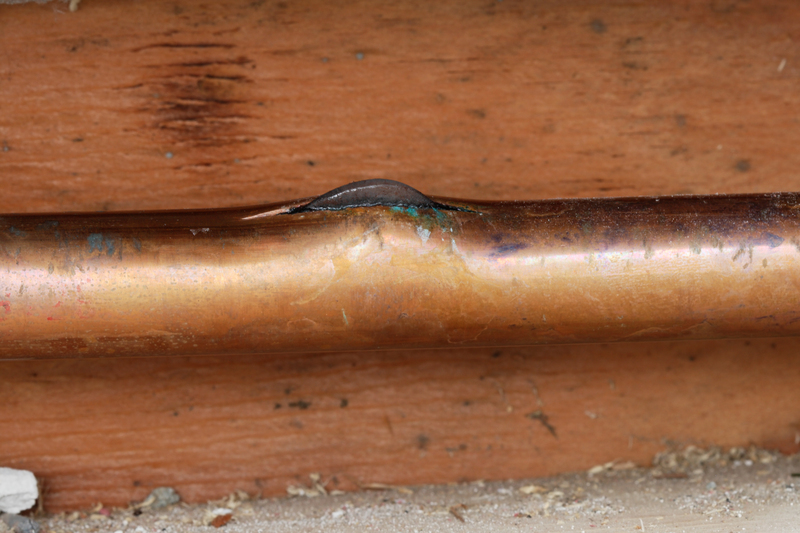 Water damage happens all the time—especially during years with higher rain volumes. By knowing how to ask the right questions and how to search for the best contractor, you’ll replace your anxieties with answers. For professional water damage repair or mold remediation, you can always call the experts serving the Omaha Metro and beyond since 1987. Mold problem? Don’t Wait. Seek a Professional Solution. Mold can happen anywhere in your home—just add water. With nearly 100,000 varieties, it’s no wonder homeowners might find it colonizing on wallboards, in vents, behind air conditioning units, around windows and roofs that leak, or under any carpeting that may have become wet. But when treated effectively, this notoriously resilient, airborne-prone fungus can be eradicated, and your home can be quickly restored to clean air, clean walls and even a cleaner bill of health for your lungs. Any damage to your home where moisture has infiltrated can lead to mold. Think of it like this: Plants only need moisture and sunlight, and mold only needs moisture and cellulose—a substance commonly found in many building materials. Obviously, wetter seasons of the year see greater occurrences of mold. Not always—certain molds help to age cheese to perfection—but the types of mold that grow within your home pose a risk and should not be taken lightly. If you spot any blemishes or large patches that are usually darker green to blackish in color, contact a mold remediation professional immediately to get an assessment. It’s also important to never disturb any mold growth visible on your home’s infrastructure, and never trust any DIY mold removal kits on the market, which often prove ineffective. Mold contains spores that can go airborne and, in some cases, cause respiratory health problems for a building’s residents. That’s why it’s important to address it right. The best option is prevention. A certified, independent contractor is usually your best bet for not just mold remediation, but also inspection and prevention before it happens. With water being a main ingredient for mold to occur, it’s smart to hire a water damage expert to provide the repairs or preventive consultation needed to help keep your home at its healthiest. 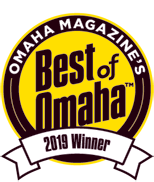 For professional remediation and repair across Omaha, Papillion, La Vista and Bellevue, you can always call the experts serving the Metro since 1987.